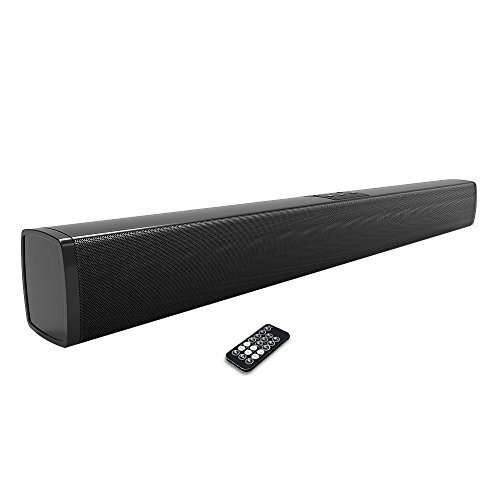 Complainning for weak sound from your TV?Choose our Silvernetic 2.0ch sound bar to boom up your TV sound. Connect thesoundbar wired easily to your TV with optical cable, choose MOVIE or VOICE modeif you prefer more bass or simply for a clearer dialogue. Wireless streaming of bluetooth connection. To connect bluetooth enabled devices such as smartphones and tablets to soundbar, by pressing the bluetooth pair button on the soundbar(or remote control), select the model and connect, then stream your favourite music in your library. Plug and play. Easy installation, place the TV soundbar body flat, plug the power adaptor, connect your device wired with included optical,line in, RCA cables or wireless via bluetooth. Wall mountable is also optional, simply using the wall mount kit with screws in giftbox. If you have any questions about this product by Silvernetic, contact us by completing and submitting the form below. If you are looking for a specif part number, please include it with your message.